Where do I start with a book I know will confuse me? I must admit, the main reason I bought this book was due to the fact the protagonist was a person of color. I didn't know what it was about, set from the idea that she was a pathological liar. And that indeed she was. 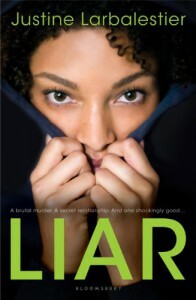 Liar focused on a multiracial(while she and other considered her biracial, I considered her more multiracial. Her black features were dominant and she, and others referred to her as black, but she was actually less black than she was white)teenager named Micah. Micah was a pathological liar. There was little to nothing she did not lie about. But lying tends to get you in trouble when a boy you were seeing ends up dead. I loved the idea of the story. I invested in so much with the story, but I tried to tread lightly, because I wasn't sure what Micah would reveal was true and what wasn't. Her compulsive need to lie(which was something she thought she inherited) made the pacing, consistency and reliability difficult to process. I wont lie(;p) and say I didn't love every minute of it, but the only thing consistent about her was how inconsistent she was. She was a liar, what did I really expect? The world building was something Im on the fence about. Whenever I got a deep sense of Micah's normal, she'd take it away, leaving egg on my face, as I'd let myself be swept up into her web of lies. And because you cant predict a liar, I found it very difficult to predict her actions. Micah herself...was difficult to relate to. Her thoughts and feelings were just so dark. I knew she was fighting the darkness inside of her, and trust me, it was...pretty damn dark. But Im not sure how relatable that made her. This is definitely not a bad thing. But I don't want to write any spoilers, so you would just have to read it to know what I mean by how dark her thoughts were. While the development and backstory did make sense when it was told, again, Micah would pull out the rug from under me. She'd tell a lie about the past, take it back, then retell the lie as if it were the honest to god truth. I still honestly don't feel as though she was 100% honest with me by the end of the story. Micah created her own conflict because she was such a liar. I honestly don't know how anyone could believe ANYTHING she would say. I wont give away her family secret, but after reading other people's takes on the book, some felt as though her family illness was a metaphor for insanity. I would not doubt this. For one minute. She was strange, dark, scary, dangerous, and completely deceptive. I have to say I found that unique. I've never had the pleasure of reading a book where a character was this demented, and a black female at the same time. Unique all the way. I didn't find anything particularly wrong with the grammar. The editing appears to be an industry standard, but I did notice a few mistakes. I wasn't sure if it were just the way character's worded things or just typos, but it wasn't 100% perfect.The point of view was not clear, but I just don't think it was written to be. She told the story at random, to intentionally deceive the reader. There were no traditional chapters. Just "AFTER"(Meaning after the murder of her boyfriend), "BEFORE"(The past before the events that started the book), "HISTORY OF FAMILY, SCHOOL OR ME"(Which gave small details of the history of each subject) and then her confessions of "LIES 1-10." The language is acceptable, I suppose. Didn't have too many issues with it, and the beat and dialogue seemed to have an acceptable medium between them. Liar definitely wins on diversity. Micah herself was Black(even though she was a multiracial black woman)and her boyfriend Zach(who'd died) was Latino. Into the story she'd mentioned he was an average looking white boy, but when she was having a conversation about him later in the book, all I was thinking when she used the term "White Hispanic" was THANK YOU! Thank you for acknowledging that Latino itself is not a race. Being from the US, everyone gets wrapped up in the idea, that if you're Latino, you cant possibly be Black, White, Asian or the other colors of the rainbow. I wish more books acknowledged this fact, instead of making Latinos this generic, one size fit all mulatto brand-name that only the majority fits into. Zach's "real girlfriend" was a dark skinned sista by the name of Sarah(Apparently Zach liked the dark girls ;p) and Zach's Tayshawn best friend was African American as well. Micah's family was mostly white. Her mother was from France, and her father was biracial in the literal sense. Her family whom she referred to as "The Greats" were all white. And an antagonist Micah kept referring to as "The white boy" who after about the last 90 pages was revealed to be named Pete, was white. And her teacher, the person who had the most faith in her Yayeko Shoji was obviously of Asian descent. Not only that, but Micah...I don't know about her. She had some sexually ambiguous tendencies. I wont say she was bisexual, but she was definitely open minded to say the least.I didn't once find any character particularly forced, and I didn't find anything too stereotypical. They just seemed like characters, who just happened to be who they were. The author also got a thumbs up on the hair subject. While I find the word "nappy" often doesn't come from a good place in black community, to ignore it would have been just...not have made sense. She let Micah acknowledge all the features that made her black. While Micah had been called ugly a few times in the book, mind you, she'd lied about her identity in the beginning. So those few times, being referred to that way seemed to be out of spite from other characters who resented her. The small details? The title fits. Micah was nothing else but a liar. To complicate it more than that would just be...well a lie! I think the cover is pretty, but it is also misleading. The girl does look like a mixed race Black girl. 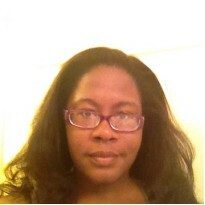 But Micah's hair was as close to the scalp as she could get it. She didn't have this long flowy hair, that the cover insinuates. I honestly pictured an androgynous person the entire time. The names were pretty common.I think they suit the characters but they weren't really all that unique. And I did find that the characters were described clearly enough for me to get a great picture of them. But who knows? Maybe all that was a lie. Overall, I still find that I didn't believe Micah by the book's end. For all I know, she could have been a serial killer telling me her story from a mental hospital(which was something she actually insinuated, not me)and using her family's history, and her life as a metaphor for her own darkness she had no experience in dealing with. The ending was ok. I was always at the edge of my seat though. So I think my scoring is appropriate. Unreliable narrators will most likely always score low on consistency.